"Look at this", exclaims a middle-aged woman, as she steps outside, iced tea in hand. "You just don't get places like this in London anymore". You do if you know where to look, apparently. 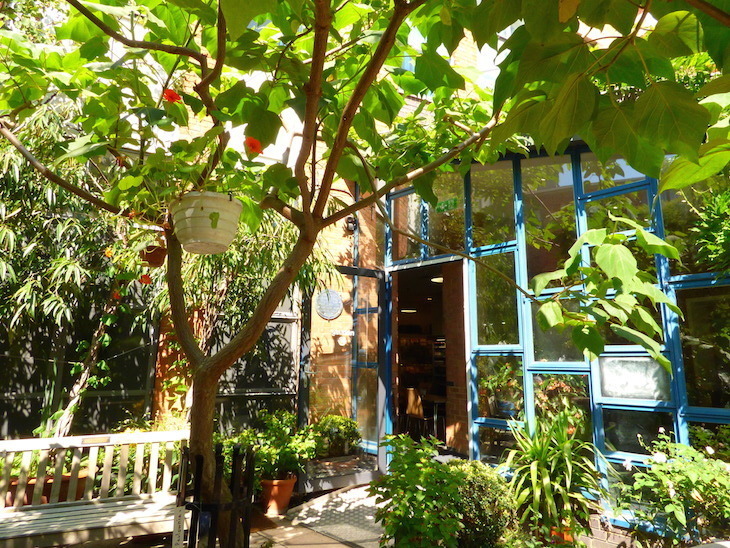 'Places like this' are the cafe garden at the Museum of Brands, Packaging & Advertising in Notting Hill. The museum officially reopened in its new home earlier this year, and its garden is a beautiful green bonus. To describe it as peaceful would be a fib, though. Drilling persists in a nearby house — probably a basement extension or new luxury flats — for the first few minutes. It's only when we're halfway through our chocolate brownie from the cafe, that the drilling stops and we realise we're not alone. The gentle chatter of other visitors wafts through the trees. We hadn't noticed them until now. You can really hide away in this place. It's not that it's a large garden. You could do a lap in under a minute, but it's a space to be savoured, thick with vegetation, dotted with wooden tables and chairs. The variety of plants impresses more than anything. It's August, and the garden is mostly green, although it may be more colourful come spring. Leaves of different sizes, shapes, colours fill the space, from run of the mill native trees to more exotic looking palm-style plants. Fuschias and lilies offer the occasional splash of colour. Even the trees have hanging baskets in them, their natural fauna clearly not sufficient for whoever runs this ship. 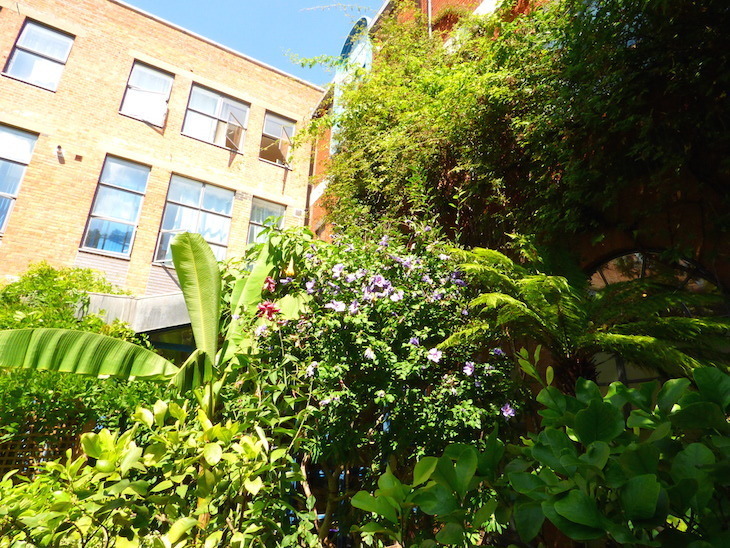 The garden is enclosed on three sides by brick walls, climbing plants even coating the brickwork. The fourth side is filled by an equally dense wall of trees. You can't see out of the garden, and others can't see in. It's a satisfying feeling of seclusion. On one of the hottest days of the year, a gentle breeze rustles through the leaves. The natural canopy offers sun for those who want it, and shade for those who seek it. You'd be forgiven for missing the pond entirely. The raised terrace is asking to be explored. 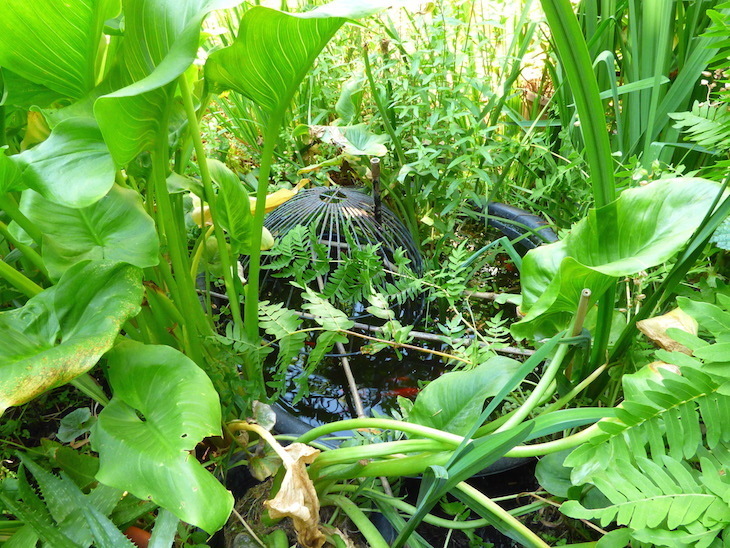 Just two steps above the rest of the garden — although a ramp is available — are the two biggest surprises of the garden: a fishpond, no bigger than 3ft across, complete with orange fish and... a kiwi tree. 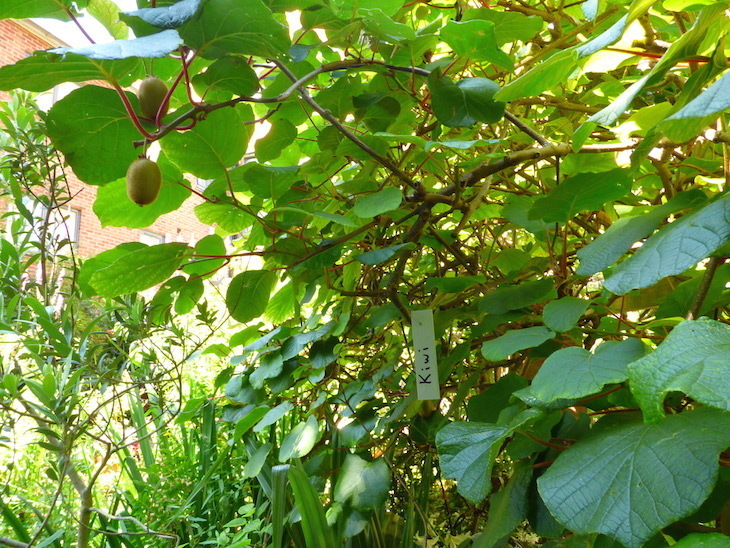 Yep, those little furry fruits, usually marked as 'product of New Zealand' or similar, are being grown right here in London — and grown successfully, judging by the sheer numbers of them hanging from the boughs. A black cat brushes past our table. 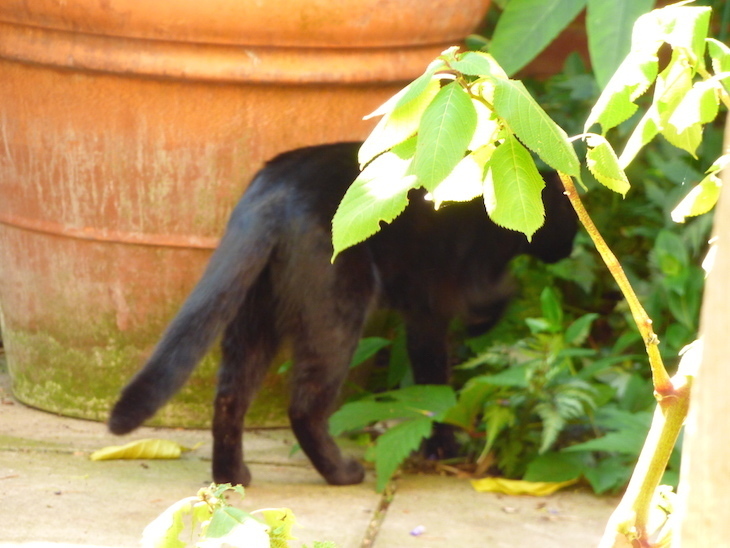 Whether he's a resident or not, we don't know, but he's certainly at home treating the garden as his own personal jungle, stalking across the paving slabs before disappearing into some bush or other, the quivering leaves in his wake the only clue to his existence. The garden clearly predates the museum. A cherry tree looks like it's been here for decades, while for the arboreal residents in the far corner, it's probably more like centuries. 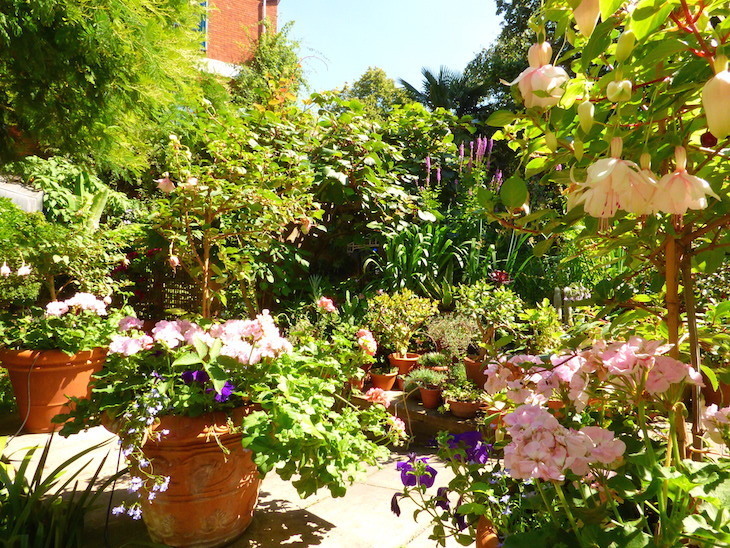 Younger plants are being cultivated in a mismatched collection of wooden and terracotta pots closer to the door. Dedication and memorial plaques are visible throughout the garden, on benches and in bushes, giving the strongest clue yet to the history of the Museum of Brands' new home. Until 2015, the building was home to The London Lighthouse, a drop-in centre and residential unit for people with HIV and Aids. Princess Diana was a supporter of the centre, visiting regularly. 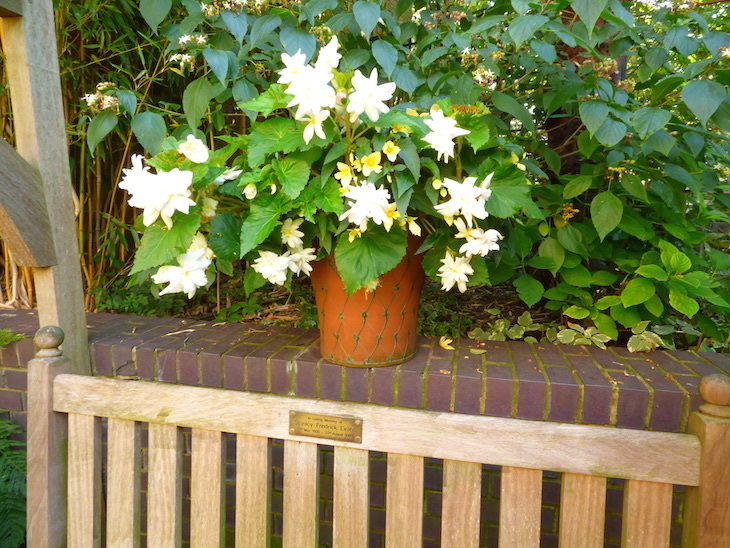 The garden was a memorial garden, both to patients who didn't survive, and to volunteers of the centre. One of several memorial plaques and benches around the garden, a testament to its past. It's fitting that the garden still pays tribute to its past, while revealing its impressive fauna — and fruit — to new visitors. The Museum of Brands, Packaging and Advertising is at 111-117 Lancaster Road, Notting Hill. It's open Tuesday-Saturday, 10am-6pm, and Sunday 11am-5pm (cafe closes 30 minute before museum). 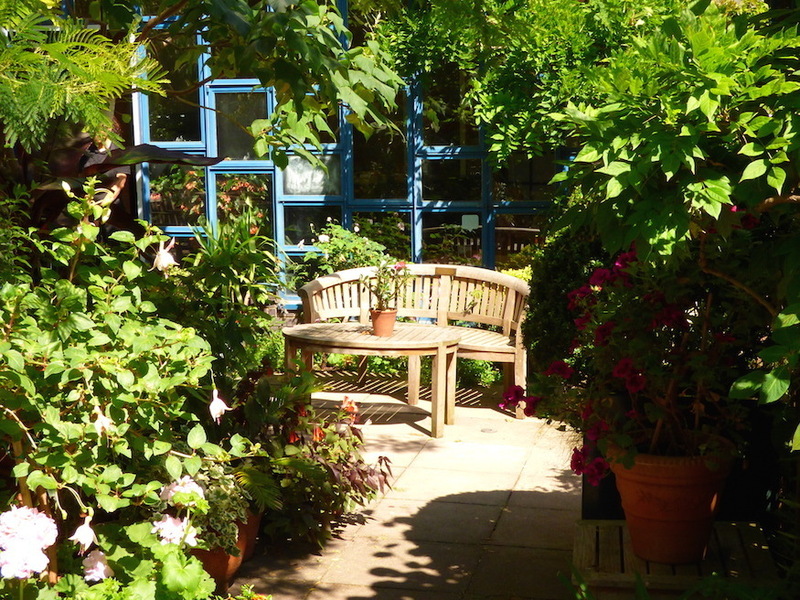 There is a charge for visiting the museum, but visitors can access the cafe, shop and garden for free.